Upside provides National SEO consulting to companies based in the United States such as national brands, IT or B2B Service companies, Manufacturers, Distributors and eCommerce websites. National SEO campaigns focus on ranking for broad terms (one to three word long search queries) with strong volume that do not have a geographic modifier, long tail keywords (that have strong intent but less volume), and also branded keywords (queries that include your brand name). Provide SEO Audits: Analysis, documentation and communication of technical SEO issues across site, including content and link issues. 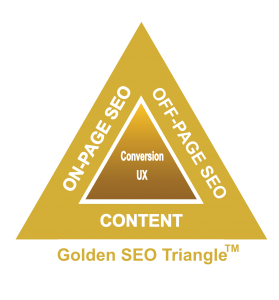 We will follow your progress through SEO issue resolution. Audits come with detailed written reports and analysis. Rankings Drop/Algorithm Change Analysis: During known or suspected algorithm updates or roll outs, we will help assess traffic drops/rankings issues with the goal of uncovering the source of SEO issues, and then communicate next steps/fixes/solutions to your company. We primarily work with B2B brands however we are able to work with B2C companies as well. Not sure if National SEO is the right tactic for your business? Many of the strategies used in national SEO are similar to local SEO however they are not based in ranking in a City, Town, County or Region. Generally, the goal is rankings for generic terms that attract the larger search market looking for a particular good or service online, not a local business. By contrast, location-based queries are more suited for local SEO, which is different. National brand SEO seeks to attract website traffic and conversions whereas local SEO seeks to attract local inquiries and in bricks and mortar businesses, walk ins. Contact Us today to talk about your needs at 516-610-0922 or online.